Mellow Mushroom menu prices! Say it three times fast. Mellow Mushroom Pizza Bakers is a casual dining restaurant famous for their pizza pies served in an eclectic, art-filled, family-friendly environment. Guest can also choose other items such as appetizers, salads, hoagies, burgers, and calzones. Each Mellow Mushroom location carries a unique selection of craft, local, regional, and international beers. Choices are plenty and the selections are always cold. Be sure to try one of their handcrafted cocktails. Below are the latest Mellow Mushroom menu prices. Mellow Mushroom’s creative setting is a perfect place for kids to visit and eat. With their own special menu, kids can complete an activity sheet, watch the pizza makers throw the dough into the air or play the online pizza game. Mellow Mushroom is more than just great tasting pizza and ice cold beer. Check out the Happenings to learn more about events at your favorite Mellow Mushrooms, such as Poker Night, Ladies Night, Karaoke Night, or Drink-n-Draw event. Happenings are plenty, you just need to show up. Nothing pairs better with a hot, steamy pizza pie than an ice cold beer. At Mellow’s if you like beer then the beer club is for you. Earn rewards while exploring the extensive beer selection. If any guest drinks all of the Mellow Mushroom beers ( not in one sitting, of course), their name will get immortalized on a plaque and they will forever be famous (maybe not). But the challenge will be worth it. Want to host an outrageous event? Check out Mellow Mushrooms catering as an option. Whether it is a social affair at home or a corporate event at the office, Mellow Mushroom will provide hot, delicious tasting food delivered by the famous Mellow Mushroom Catering Cube. Contact your favorite Mellow Mushroom location and view the catering menu online. All are welcome to eat at Mellow Mushroom, even those with particular lifestyle diets or dietary restrictions. Guests should let the server know about particular restrictions so a proper menu can be provided. Vegan & Gluten-Free menus can be viewed online as well. Counting calories and keeping resolutions is easy at Mellow Mushroom. Their Skinny Shroom menu features mel-LOW selections that offer lower calorie options. Features items are all less than 600 calories. By joining the Mellow E-Club, guests can stay up-to-date on the latest news, deals, and menu updates. For joining, guests will automatically receive a gift plus a gift on their birthday. Sign-up is quick and free. This is not a Halloween destination but rather the place to purchase Mellow Mushroom’s unique collection of apparel and accessories. Items include t-shirts, caps, glassware and other cool items emblazoned with the Mellow Mushroom name and sayings. Eating at Mellow Mushroom is a guilt-free experience. Mellow Mushroom uses only fresh, quality ingredients. For guests that are following a certain diet or just curious, Mellow Mushroom offers two ways to get the nutritional values of menu items. First, visit the Nutrition Portal page on the Mellow Mushroom website. Guests can search the nutrition guide to get values of the various menu items or guests can enter unique food choices into a calculator to obtain the nutritional value. Mellow Mushroom takes the safety of its guests seriously. For guest with food allergies, Mellow Mushroom offers a convenient way to determine which menu items are safe to eat. Just visit the Allergen Menu located on the Nutrition Portal page, select the allergens and a list of suggestions is offered. Know before you go. Food allergy reactions are not mellow. Potential candidates that are looking for a unique job experience should consider a position with Mellow Mushroom Pizza Bakers. Mellow Mushroom seeks candidates that are unique and are passionate about serving delicious food in a fun, creative environment. Interested candidates should visit the Jobs page on the official Mellow Mushroom website to learn more and browse the current list of restaurant and HQ openings. The first Mellow Mushroom Pizza Bakers opened in 1974 in Atlanta, Georgia by three college students. All three enjoyed consuming pizza but also realized that creating a perfect pizza pie was just like art. The three banded together and decided to bring the art of pizza making to the masses. 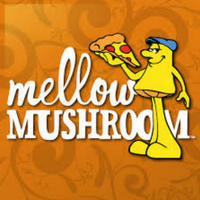 Today, there are close to 200 locations across the U.S.
For more information about Mellow Mushroom, visit their official website.